After a long and arduous process ( almost 4 years if you can believe it !) 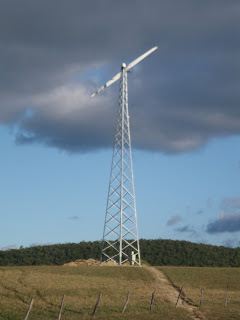 Buckwheat Bridge Angoras wind generator was installed in mid-September. The installation took about a week once the foundation was in place. 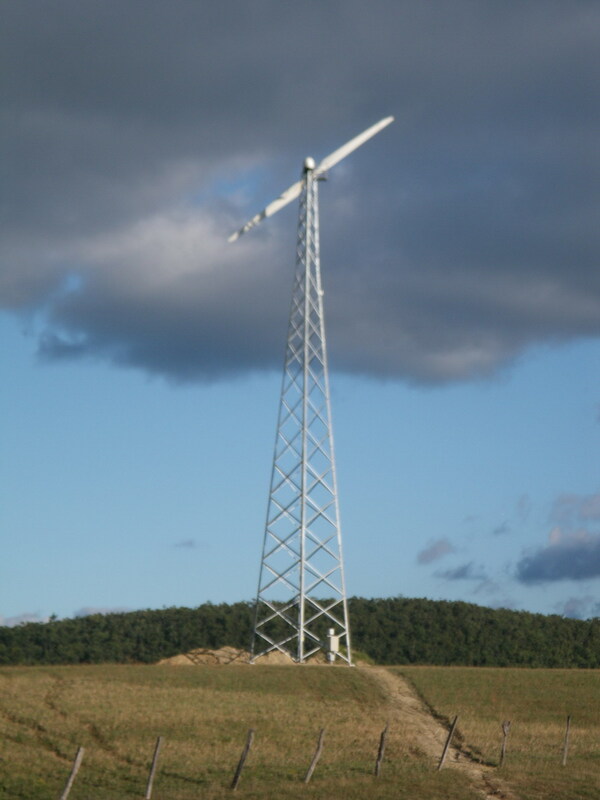 With a tower of 100 ft in height and a blade length of 40 feet, the turbine rests at just about 120 feet above ground level. We are grateful to have this project completed and now that I have finally recovered my password for access to this blog, I’ll be updating shortly with what’s new around here. Coming up next : A new litter of Maremma pups whelped 10/9/10. They are just four weeks old and “on the move”. Pictures coming soon !